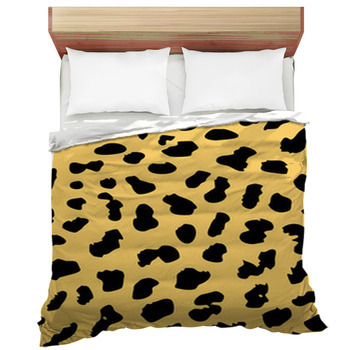 There is no better way to incorporate a fun design into your bedroom decor than with cheetah print bedding! VisionBedding offers cheetah print designs that can take your house form the suburbs to the vast savannah. 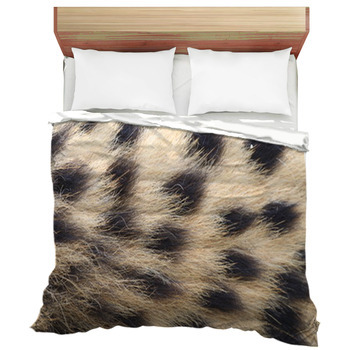 From stylized suggestions of cheetah fur to highly realistic long-haired faux-cheetah fur, our cheetah print bedding will let you take a walk on the wild side. 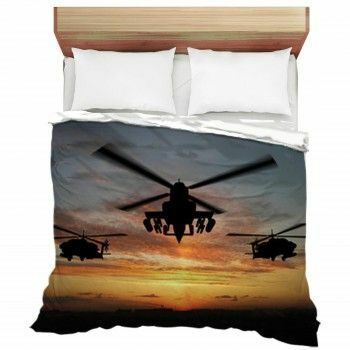 With VisionBedding's full customization and personalization options, you can speed your way to unique cheetah print designs. 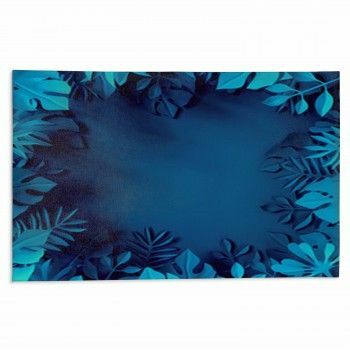 Looking for a print that's wild with color? 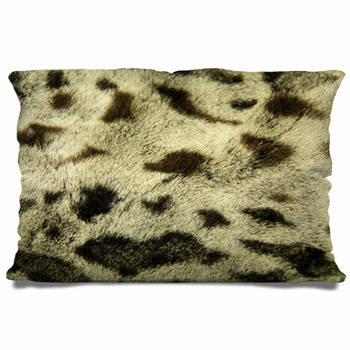 Each of our cheetah print designs can be customized by raising luminance and hue for standard cheetah colors that pop. Or, go even wilder and change the cheetah print to rainbow hues for a whimsical look. You can also use your very own cheetah illustrations or photographs for a look that is personal as each cheetah's coat. 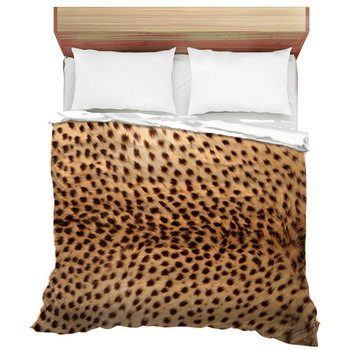 Cheetah print bedding can fulfill all your bedding needs, whether you're a cheetah cub or full grown. Our sizes start at Twin and go to Twin XL, Queen, and King for your entire cheetah family. 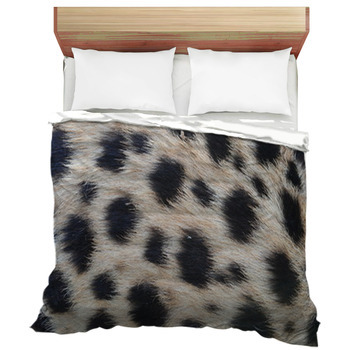 Try a comforter in the standard short-haired cheetah pattern and add duvet cover in a more realistic furry pattern. 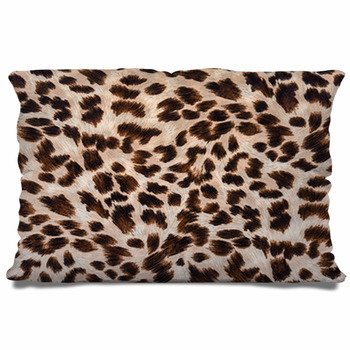 You can have bed sheets and pillowcases in black and white customized cheetah print for a unique look. The cheetah print bedding theme is one that can turn your entire house into a cheetah den. Any bedroom could work in a cheetah print theme, especially if you're looking for something chic Make a room entirely cheetah, or add cheetah bedding to that master bedroom decked out in animal styles. This look can even work in a more modern or contemporary home with black and white cheetah print in a clean yet moody pattern. 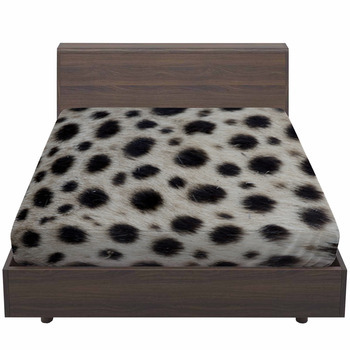 Our cheetah print bedding is perfect for that stylish adult who is also an animal lover. Your bedroom is your personal space, so why not make it your den, too? Take your master bedroom to the most artistic place in the savannah with VisionBedding's cheetah print bedding. Fall into the comfort cheetah fur, and dream of running with your family every night.